.260 Remington 115 Berger VLD-Hunting~ The .260 Remington (also known as 6.5-08 A-Square) cartridge was introduced by Remington in 1997. Many wildcat cartridges based on the .308 Winchester case had existed for years before Remington standardized this round. The .260 Remington has become very popular with metallic silhouette shooters. The 2014 NRA National Championship equipment survey lists the .260 Remington as most popular caliber for both the high power rifle and high power hunter rifle competition. The .260 Remington is effective on antelope, sheep, goat, or caribou. While capable of taking Class 3 game such as elk and moose, some hunters, particularly Canadian professional hunters who hunt large moose and elk, consider it slightly underpowered for these species and best used for smaller deer species such as white-tail and mule deer. Our 100% Hand-Loaded .260 Remington, 115 VLD-Hunting rounds are loaded with extremely tight tolerances, producing highly accurate, consistent and reliable performance with each and every shot! Proprietary load formulas and our hand loading techniques offer the finest ammunition on the commercial market today. .260 Remington 130 grain Nosler AccuBond~ The .260 Remington (also known as 6.5-08 A-Square) cartridge was introduced by Remington in 1997. Many wildcat cartridges based on the .308 Winchester case had existed for years before Remington standardized this round. The .260 Remington has become very popular with metallic silhouette shooters. The 2014 NRA National Championship equipment survey lists the .260 Remington as most popular caliber for both the high power rifle and high power hunter rifle competition. The .260 Remington is effective on antelope, sheep, goat, or caribou. While capable of taking Class 3 game such as elk and moose, some hunters, particularly Canadian professional hunters who hunt large moose and elk, consider it slightly underpowered for these species and best used for smaller deer species such as white-tail and mule deer. 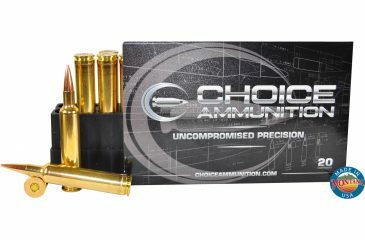 Our 100% Hand-Loaded .260 Remington, 130 grain AccuBond rounds are loaded with extremely tight tolerances, producing highly accurate, consistent and reliable performance with each and every shot! 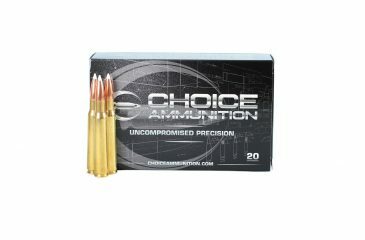 Proprietary load formulas and our hand loading techniques offer the finest ammunition on the commercial market today. .260 Remington 140 Berger VLD-Hunting~ The .260 Remington (also known as 6.5-08 A-Square) cartridge was introduced by Remington in 1997. Many wildcat cartridges based on the .308 Winchester case had existed for years before Remington standardized this round. 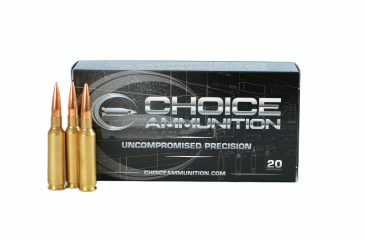 The .260 Remington has become very popular with metallic silhouette shooters. The 2014 NRA National Championship equipment survey lists the .260 Remington as most popular caliber for both the high power rifle and high power hunter rifle competition. The .260 Remington is effective on antelope, sheep, goat, or caribou. While capable of taking Class 3 game such as elk and moose, some hunters, particularly Canadian professional hunters who hunt large moose and elk, consider it slightly underpowered for these species and best used for smaller deer species such as white-tail and mule deer. Our 100% Hand-Loaded 130 grain Berger VLD-Hunting rounds are loaded with extremely tight tolerances, producing highly accurate, consistent and reliable performance with each and every shot! Our proprietary load formulas and loading process create the finest round of ammunition available on the commercial market today we feel. If you don’t load your own ammunition- let us do it for you!